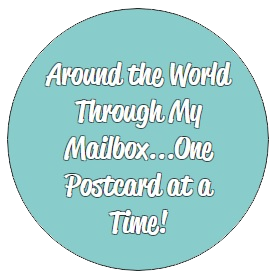 In philately a maximum card (also known as a maxi-card, or maxicard) is a postcard with a postage stamp placed on the picture side of the card where the stamp and card match or are in “maximum concordance”. The cancellation or postmark is usually related to the image on the front of the card and the stamp. 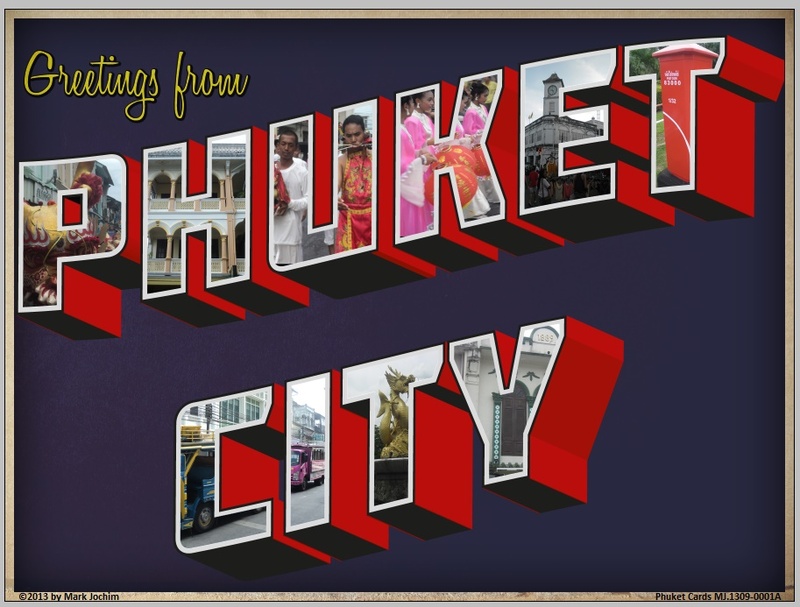 Not every country issues maximum cards (i.e. USA does not) and some who do (Germany, for example) have only a limited number of releases every year whereas others issue maximum cards for every stamp (such as Australia). 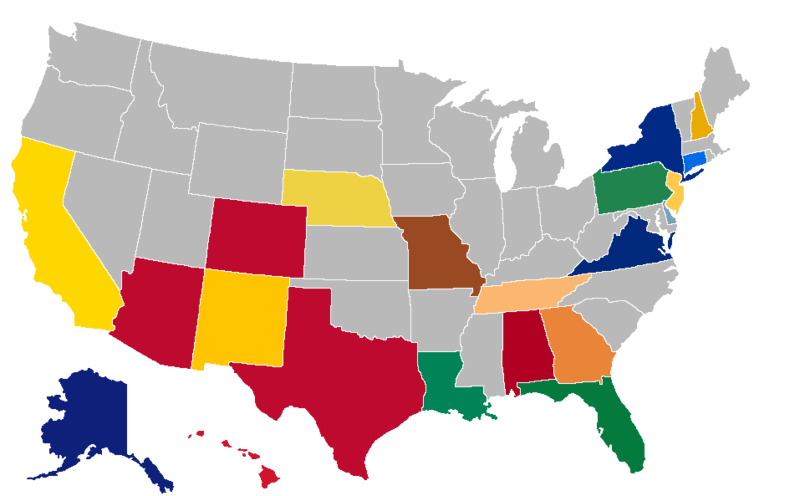 The collecting of maximum cards is known as maximaphily. I enjoy picking up maximum cards whenever one strikes my interest but I still don’t have very many in my collection. 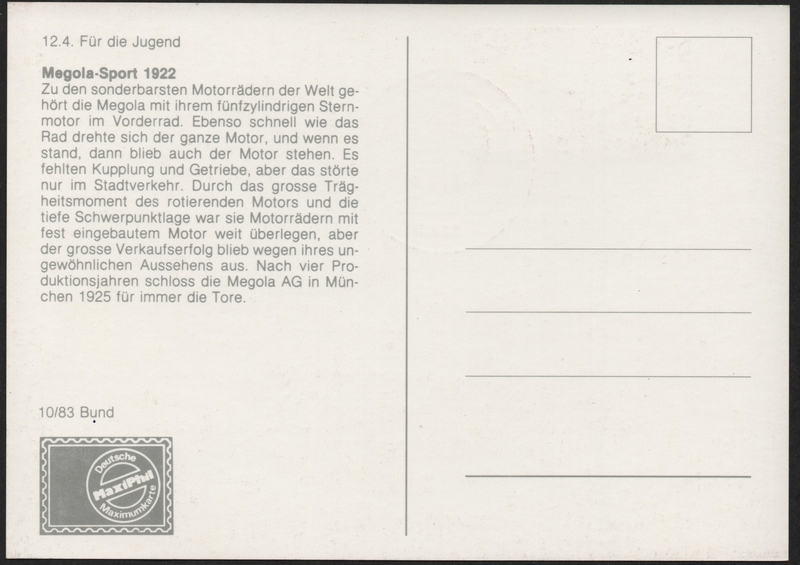 A recent purchase was a set of four cards bearing German semi-postal stamps. 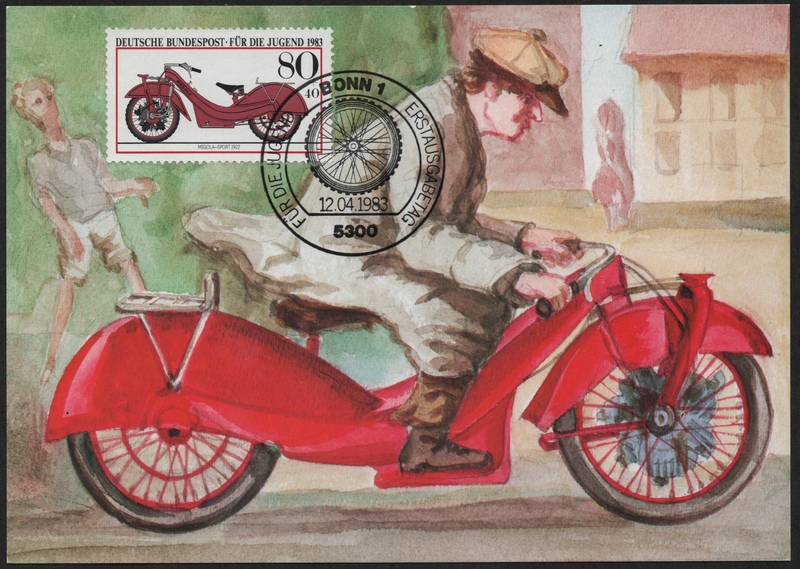 The stamps were issued on April 12, 1983, and portray historic motorcycles. Each included a surtax beyond the regular denomination which raised money for the benefit of young people. 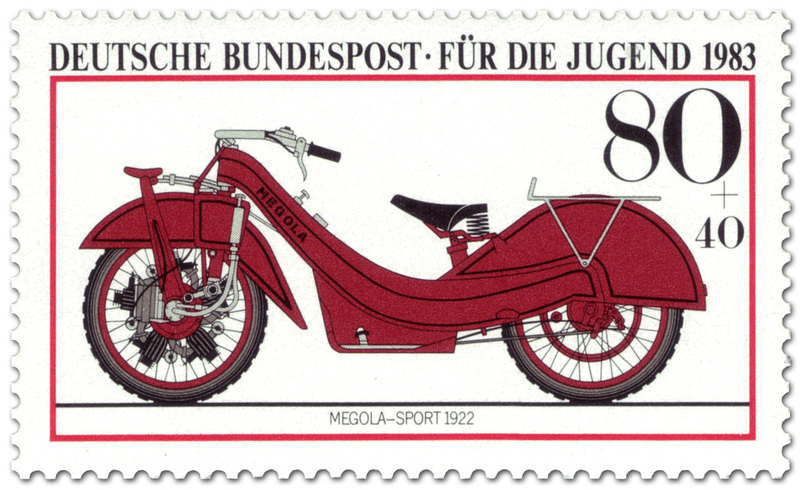 My favorite of these was the 1922 Megola Sport on the 80-pfennig + 40-pfennig value (Scott #B607). Not only is the motorcycle quite striking in appearance but it featured an unusual design element — front-wheel drive. A consortium of three German engineers — Hans Meixner, Cockerell (who originally spelled his name Gockerell) and Otto Landgraf — founded in Munich in 1921, Megola got its name by combining the first two letters of each of their surnames. 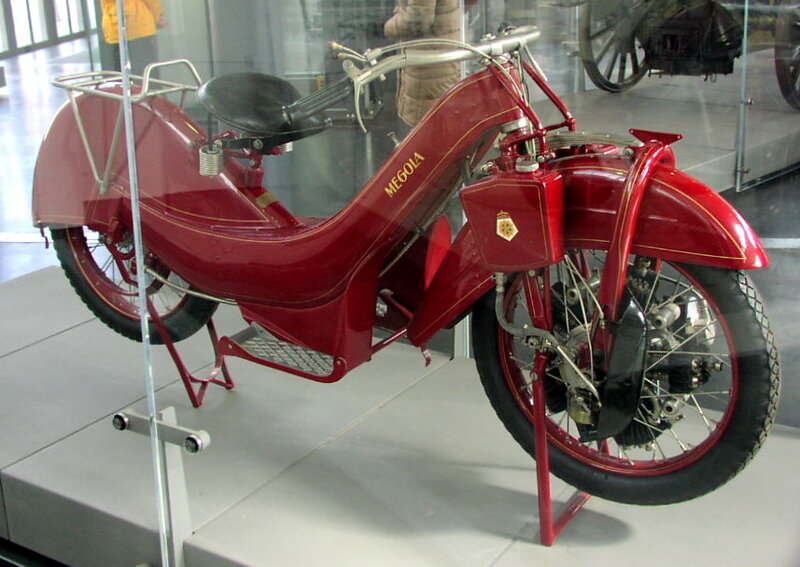 Cockerell had designed a motorcycle in 1920 , powered by a three-cylinder rotary engine located within the rear wheel. As plans to commercialize this venture progressed, the engine was replaced with a five-cylinder model and Cockerell hit upon the novel idea of locating the engine in the front wheel instead. This wasn’t the first attempt at a front-wheel drive motorcycle. British firm Radco had produced an abortive prototype in 1919. Cockerell’s was the first “functional” design, with that adjective decidedly belonging in quotations. Locating the powertrain within the front wheel conveniently sidestepped the problem of transferring power to a turning wheel. It was hardly a perfect solution, however: The spokes are laced directly to the crankcase so there is no transmission and it is a single-speed machine. There is no clutch, either, which makes riding the Megola a particularly challenging proposition. The engine contained five cylinders with side-mounted valves, each of which displaced 128cc, with a bore/stroke of 52x60mm, and a total displacement of 640 cc (39 cu in). The 5 cylinders rotated around the front axle at 6x the wheel speed; thus while the cylinders were at maximum of 3600rpm the front wheel was turning at 600rpm, or roughly 60 mph (given the wheel diameter). A hand-controlled butterfly valve was located in the hollow crankshaft to regulate throttle. Power output was a modest 14 bhp (10 kW) but was applied directly to the wheel. This arrangement produced a very low center of gravity and provided for excellent handling. The engine was very flexible, lacking both a clutch and a transmission. Starting it required a person to either spin the front wheel while the bike was on its stand, or to push-start. The cylinders could be disassembled without having to remove all the wheel spokes in order to service the engine. The tires were tubed with the front inner-tube being a circular sausage shape rather than a complete doughnut-like torus shape, so that it could be changed without removing the wheel and engine. The box section frame contained the main fuel tank which fed by gravity a smaller tank mounted on the axle. The front suspension consisted of semi-elliptical springs. Engine lubrication was gravity-fed to the main-bearing housing from a 4-liter tank mounted on the left steering strut. A matching, gravity-feed fuel tank on the right side held a small supply of fuel, which has to be regularly hand-primed from the main fuel load inside the pressed-steel monocoque frame. A Bosch magneto fixed to the planetary-gear housing provided spark, and an oil pump driven via bevel gears off the magneto circulated oil thorough the engine. A single updraft carburetor was mounted on the right side of the wheel. Thanks to the engine’s front-and-center location, air-cooling the cylinders was not a concern. The top speed was 85 km/h (52 mph) while later, sportier models were said to be capable of 140 km/h (88 mph). Megola manufactured two models: a Touring version with a sprung rear wheel, a semi-enclosed bucket seat and a mild, 14-bhp engine; and a stripped-down Sport variant with a rigid chassis, sprung saddle and a high-performance, 25-bhp engine. Believe it or not, the Sport was a semi-successful racing machine. Without any clutch, gearbox or front brake it wasn’t particularly useful for road racing, but it was well suited for oval-track racing on dirt or other low-traction surfaces. Megola Works racer Toni Bauhofer even defeated the BMW factory team to win the 1924 Schleizer-Dreieck national championship race. Approximately 2,000 Megolas were built and sold between 1922 and 1936. Perhaps only 10 rideable examples remain. 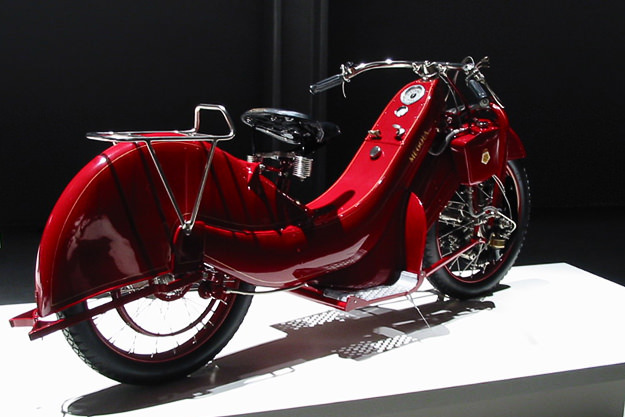 One was displayed at the Guggenheim Museum ‘Art of the Motorcycle’ exhibition in New York City. Apparently, these were quite a challenge to drive, having no clutch and a braking system that didn’t exactly work. The owner’s manual “included special instructions for navigating then-newfangled traffic lights, advising the Megola rider to ‘orbit’ until the light changed and he could depart the scene.” For more on the experience of riding a Megola Sport, have a look at this Motorcyclist blog post. As for the stamp, it was designed by Heinz Schillinger. There were 4.977.000 copies printed using offset lithography, perforated 14, and it was valid for use until June 30, 2002.